Layer picking is the retrieval of a full layer of cartons from a pallet in a single pick. It allows warehousing operations to maintain lower cost of goods pricing to their customers and still quickly and effectively supply product. An inherent difficulty in a traditional gravity-fed layer picking set up however is the force or pressure that is placed upon the front pallet from the fully-stocked rear pallets in the lane. Mallard’s gravity flow experts have designed a pallet separator specifically for this system that removes the pressure from the front pallet to allow for safe removal of the empty pallet and protection of the products behind. 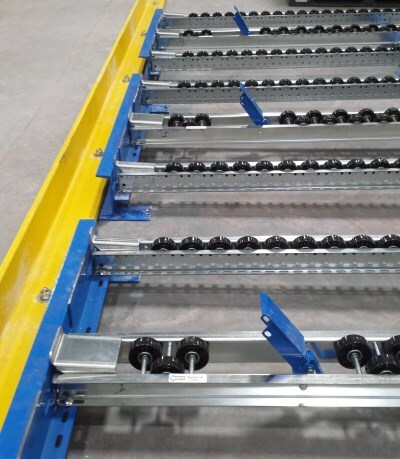 The Layer Pick Separator LP-400 is an exclusive Mallard engineered application that is mounted in the pallet flow center lane and can be used with all Mallard track types. As the front pallet is slowly removed, the system automatically resets to separate the new front pallet from indexing rear pallets. Another cost-effective, simple solution for your picking operation from the Gravity Flow Experts. 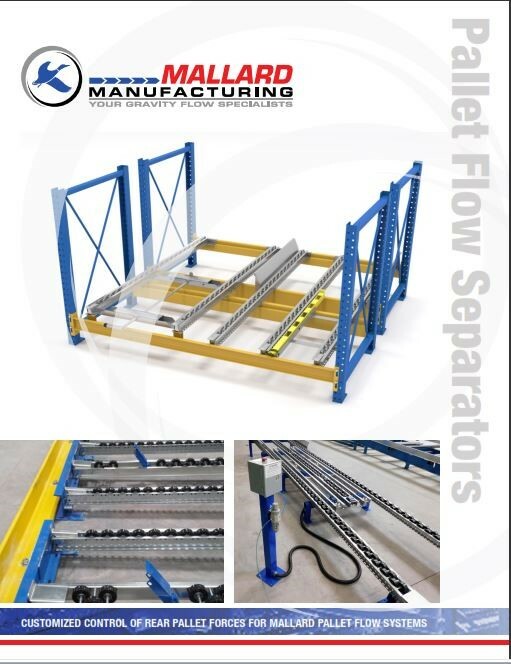 If you are interested in the advantages of the full line of Mallard Pallet Separator products, download our new 8-page PalletFlow Separator Brochure or check out the Resources page on our website – Mallard Pallet Separator Product Options.